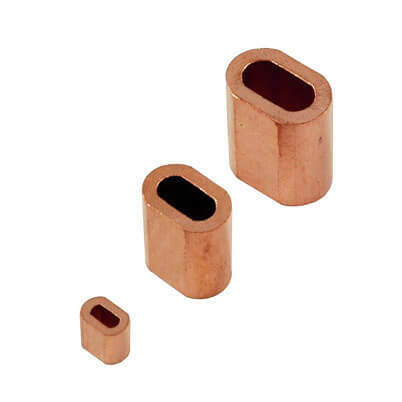 Copper ferrules & crimps for forming strong eyes & stops on stainless steel and galvanised wire rope. So, If using 4mm wire rope, please choose a 4mm copper ferrule. Copper ferrules & crimps manufactured to BS 5281. 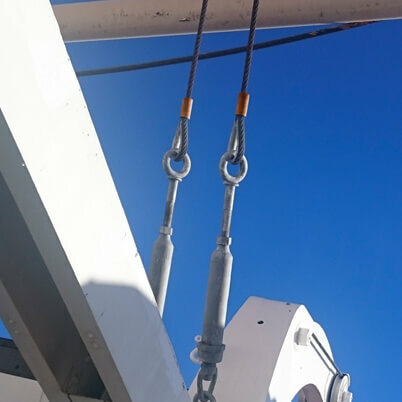 Intended for use with stainless steel wire rope to avoid galvanic corrosion. 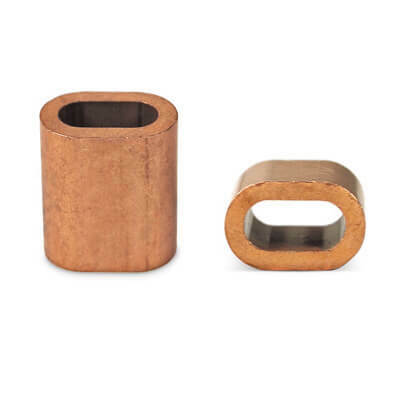 Copper ferrules available to fit 1mm, 1.5mm, 2mm, 3mm, 4mm, 5mm, 6mm, 8mm and 10mm wire rope. Simple soft loops can be added to stainless steel wire by placing the copper ferrule over the end of the wire and looping the wire back on itself, passing back through the copper ferrule. Once in place use a swaging or crimping tool to compress the copper ferrule until it holds the wire firmly. Creating a hard eye loop using a stainless steel thimble and a ferrule. 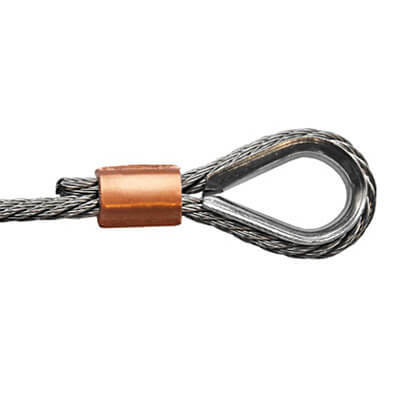 Simply lace the dead end of your wire rope through your copper ferrule and loop the end of your wire rope around the outer groove of the thimble. Pass the end back through the copper ferrule and pull-in the dead end to fit tight around the thimble. Once in place, we recommend using a crimping tool to compress the copper ferrule firmly onto the rope to hold your thimble loop securely. Easy to form with hand pliers. Again quality that makes a lasting impression. Quality made, easy to use to crimp and make wire loops in the cable. Matching size for use with the purchased stainless steel wire rope, easily crushed in a vice to crimp the wire (as I don't have the proper crimping tool for making wire rigging.